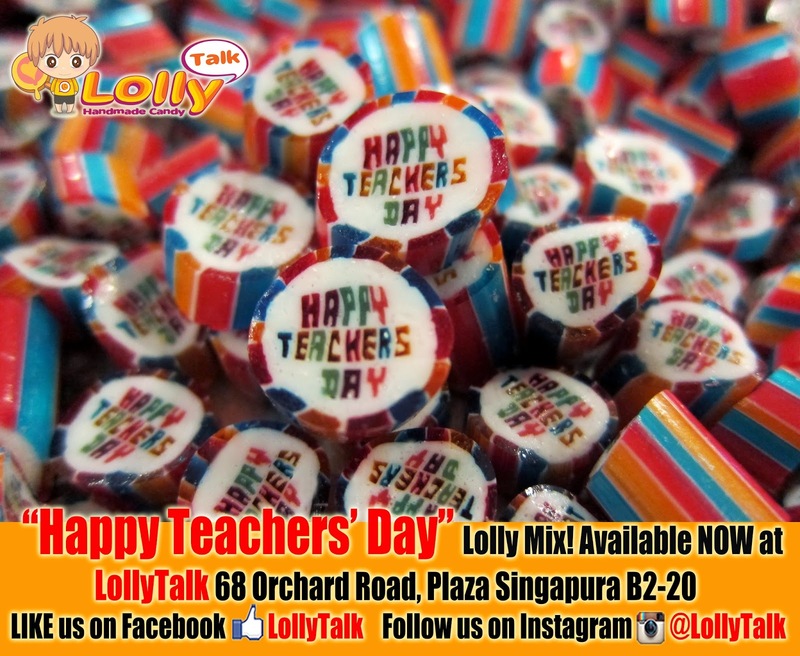 Have you planned what to get for your teachers and mentors this coming Teachers' Day? 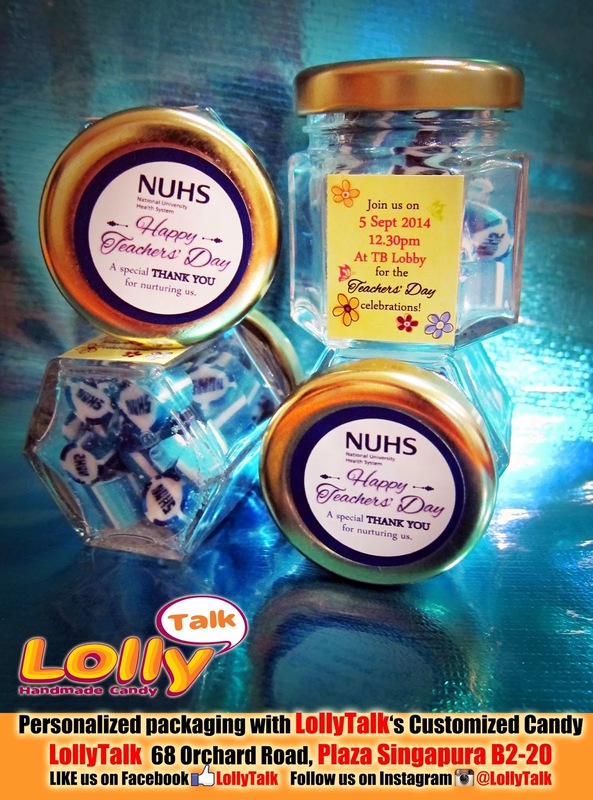 Inside the bottle contains customized lollies with wording "NUHS" to further enhance the belongingness of the organisation. 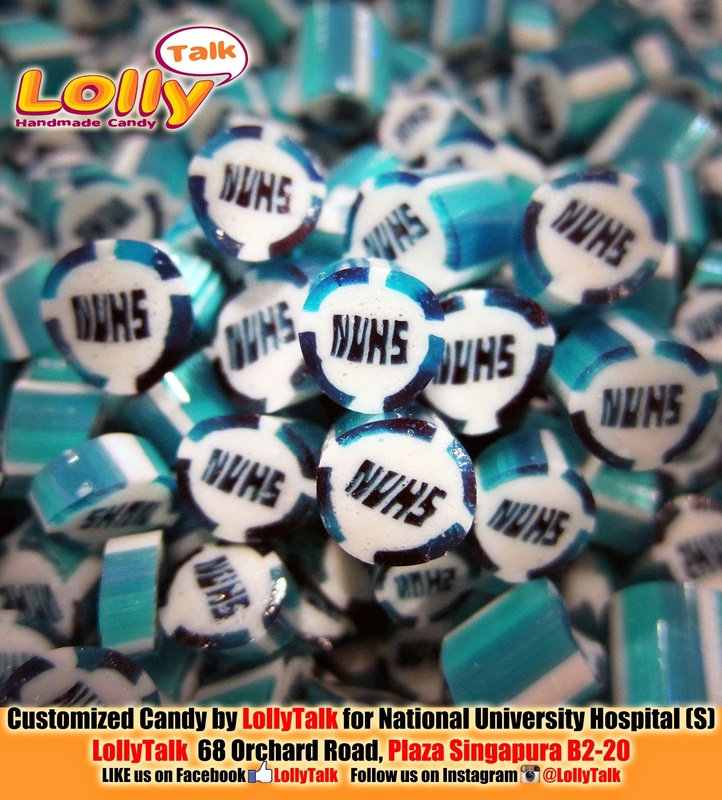 Such a brilliant idea since the doctors will put the bottle of lollies on their table while taking one lolly at a time and be reminded of the coming event. 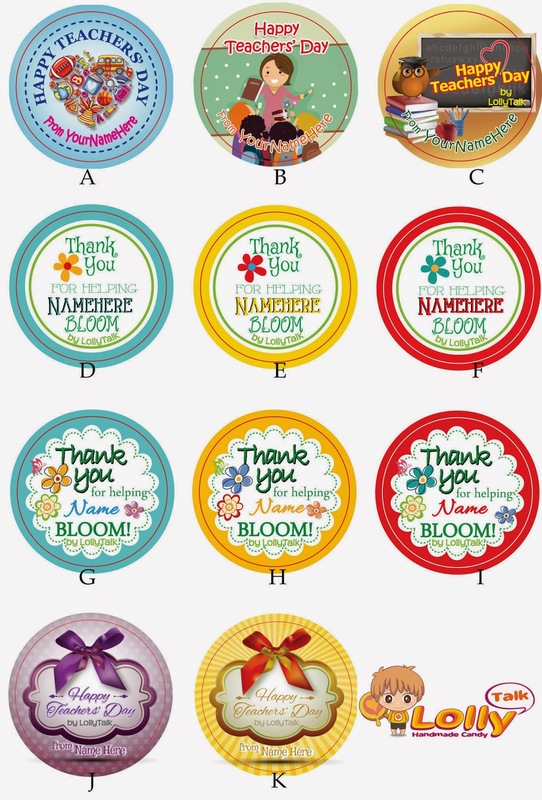 And this year, we included our premium range of Acquired Taste Collection. 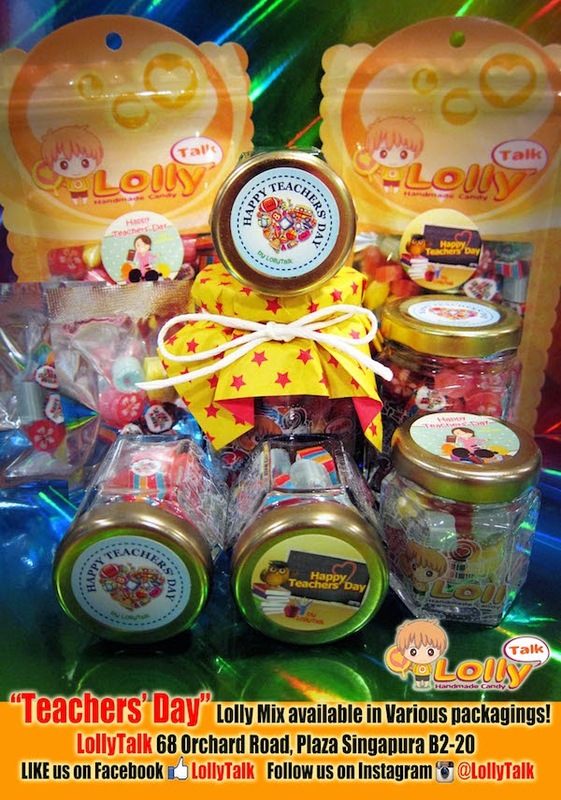 We chosen the Honey Lemon that uses natural lemon extract and real honey. 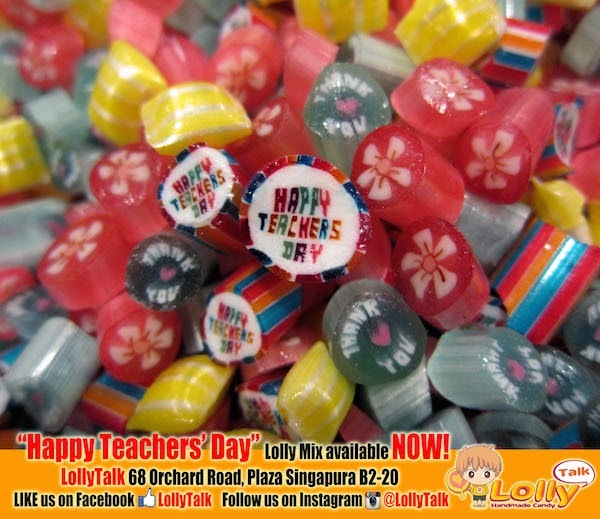 Comes in handy for Teachers who needs to do a lot of talking. 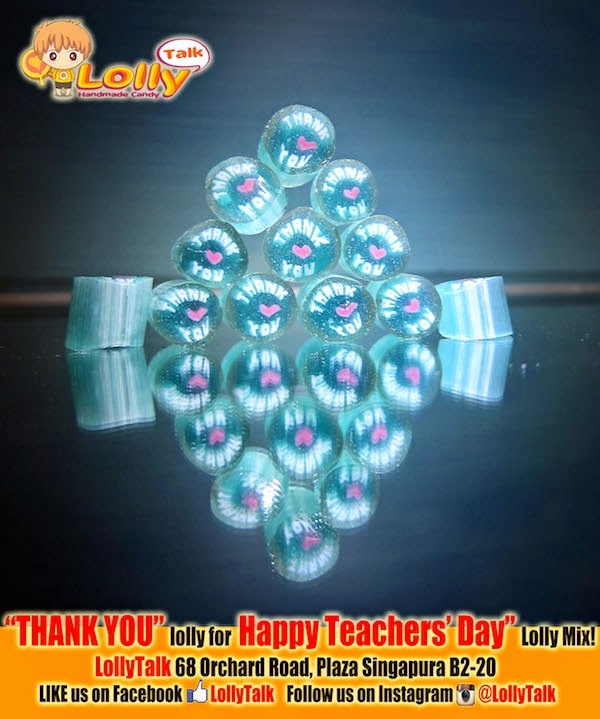 Give your teachers and mentors a sweet gifts that they will remember you for. 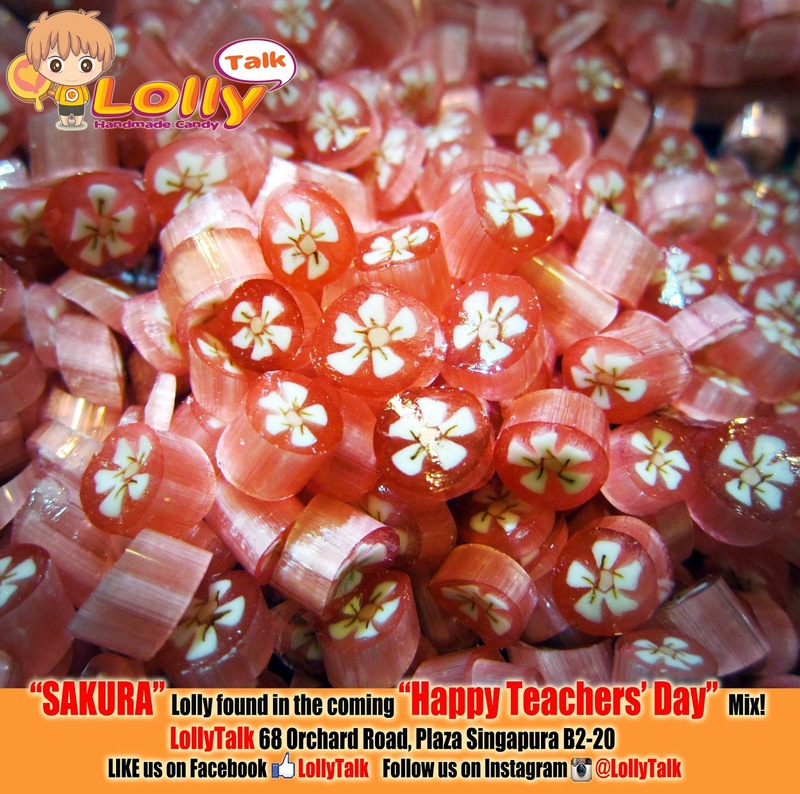 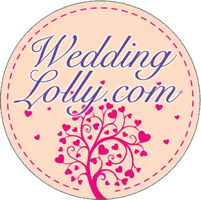 Nothing more sincere than giving them handmade candy handcrafted with love & served with passion!